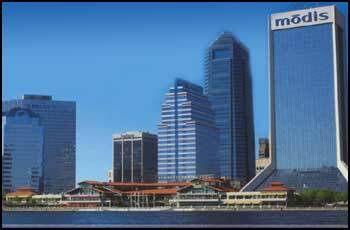 Jacksonville is a port city located on the St. John's River in Duval County, Florida. It's a proud city, the largest in Florida, and it offers home buyers a strong economy, a fantastic arts scene and one of Florida's most diverse cultures. These benefits make purchasing Jacksonville homes a tremendous value for home buyers who wish to relocate to one of Florida's most dynamic cities. For more details about the history of homes for sale in Jacksonville, please read this online timeline written by the Jacksonville Visitors and Convention Bureau. The modern history Jacksonville can be traced to the 1820s when American settlers created homesteads near what are now Jacksonville's city limits in territory that once belonged to Great Britain and Spain during the 18th century. Many of these settlers established thriving farms near the banks of the St. John's River that produced cotton, oranges, lumber and vegetables. The development of these farms encouraged Jacksonville residents to establish a port near what is now Jacksonville's downtown area. Union naval blockades nearly destroyed Jacksonville's economy during the Civil War. However, Jacksonville residents were able to revive their economy during the rest of the 19th century by developing a thriving tourism industry that is still an important part of Jacksonville's economy. Jacksonville's residential real estate market grew steadily during the 1920s after Jacksonville real estate agents learned how to market beachfront homes for sale to new residents. This growth encouraged home builders to construct many Craftsman-style homes that are located near Daisy Creek. 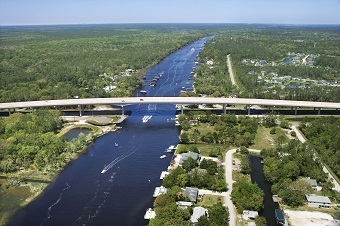 Much of this growth was sustained during World War II after the United States Navy constructed three military complexes near the Port of Jacksonville. The Jacksonville Department of Parks Recreation operates one of America's largest recreational programs. Some of the most popular facilities that are included in this recreational program include 18 senior centers, more than 20 community centers, 40 hiking trails, more than 40 watercraft docks and more than 300 parks. Moreover, the Jacksonville Department of Parks & Recreation offers more than 100 recreational sports activities. Some of the most popular activities include swimming lessons, youth tennis lessons, youth football leagues and more than 20 adult recreational sports activities. Purchasing a home in Jacksonville puts you near the action of more than 2,000 attractions that offer something for everyone. Some of the most popular Jacksonville attractions include the Jacksonville Zoo, the Jacksonville Landing Shopping Complex, Little Talbot Island State Park, the World Golf Village and several gorgeous beaches. The Jacksonville area hosts many outstanding events that include the Jacksonville Original Music Festival, the Kingsley Plantation Harvest Festival, the North Florida Honeybee Festival, the Jacksonville Film Fest and the Gator Bowl College Football Classic. Of course, the NFL plays in our town (EverBank Field), and we are the official real estate company of the Jacksonville Jaguars! Jacksonville is one of the most diverse and family friendly towns on the East (or any) coast! If you want to search in this prime coastal city, call the Susan Kennedy Team, 888-226-8300. They are experienced pros in Jacksonville and Duval County, and they can help you sort though the options and find the best deal. 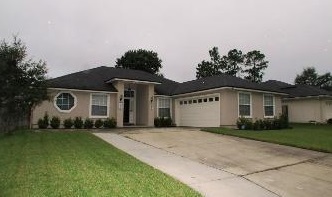 You can be in the Jacksonville home of your dreams!